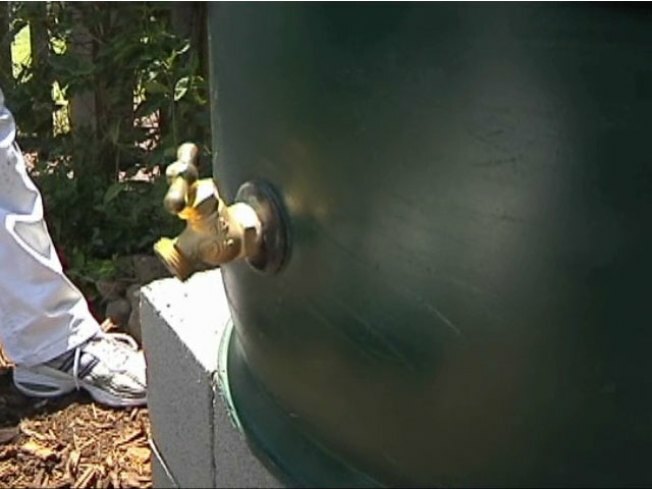 Rain barrels help North Texans save rain water and conserve resources. Kari Gates gives North Texans the tools to harvest rainwater, so they can eventually harvest their growing gardens. 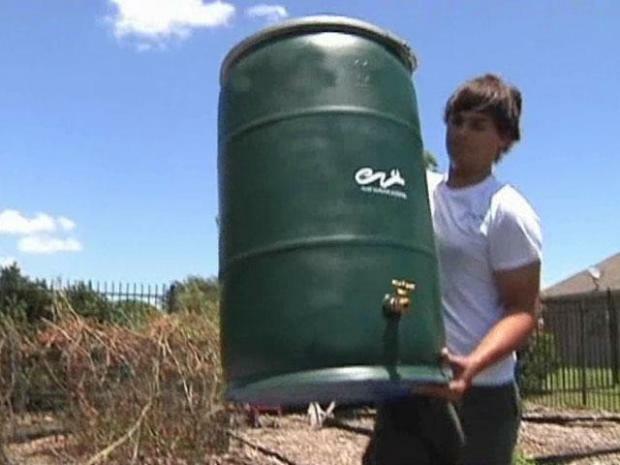 Gates had been harvesting rain water at her own home for years when she and her son, Ryan, 17, created an easier way to do it. Gates her son created a ready to use rain water barrel made from recycled, 55 gallon plastic containers that are water tight, come with a brass spigot, and keeps bugs and other debris out while keeping clean water in. The barrel is called the Water Keeper. A mother and son team has a blossoming business helping North Texans save rain water. "Ours is different in that we'll have it ready to do. A lot of home and garden centers, you'll have to put your own spigot. We're ready to do and the homeowner doesn't have to do anything if they choose not to," Gates said. Gates began selling the barrels at the Four Seasons Market in both Garland and Allen and their business is gaining momentum, especially with residents who have home gardens. The rain barrel package cost $125 and includes the 55 gallon barrel, downspout adapters, hardware and instructions, though Gates and her son can install it for $25. During recents rain, the Gates' 55 gallon barrel filled several times over and though rain harvesting has saved her family thousands of dollars over the years, Gates says she does it for more than economical reasons. "It will save money in the long run, but it's more about saving our resources," she said.